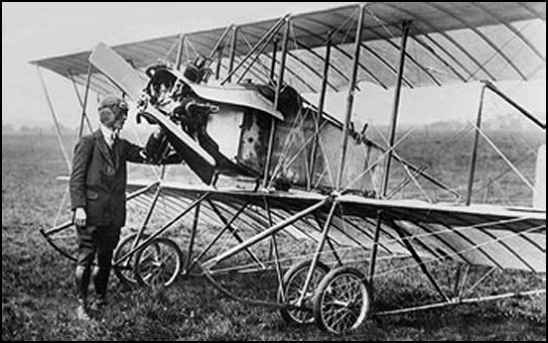 My grandfather was a pioneer Scottish Aviator and I spent 60 years thinking he was the first Scotsman to fly, but after the Royal Aeronautical Society released the Certificates from 1910 – 1950 I found out he was the fifth UK holder, there being one Scot who held a French Certificate before his untimely death. My grandfather is No 63. I am working on a web site for him and will launch it soon, it will be www.1stflyingscot.co.uk, I hope you enjoy it. In the meantime, if I can contribute anything to your site please don’t hesitate to ask. You will find a wealth of material in this incredible resource. You can access it by clicking on the title. FIRST ACROSS THE FIRTH OF FORTH. ALTHOUGH some time ago a prize was offered for a flight across the Firth of Forth, it was subsequently withdrawn, owing to lack of competition. On the 30th ult., however, the double journey across the Forth was made in splendid style by Mr. W. H. Ewen on his Deperdussin monoplane, one of the latest "popular" type. Starting from the Marine Gardens of Porto-belio, Mr. Ewen rose until he was about 1,000 ft. high, and passing Inch Keith went on until within a mile of Kinghorn. He then turned and proceeded up the Firth in the direction of Leith. Two miles from the port he once more turned, and this time headed for his starting point at Portobello. He was planing down there, but coming to the conclusion that the Sports Ground was rather too restricted for landing, he flew outside the ground, and descended in a field in the neighbourhood. As soon as the mechanics arrived the wings were taken off and the machine wheeled back to the aerodrome. Mr. Ewen was in the air for about ten minutes, and covered roughly twelve miles. On his return to the Marine Gardens, Mr. Ewen was welcomed on behalf of the Executive by Councillor Rawson. Speaking of his flight, which he described as successful in every way, he said that he had a bad five minutes when at about the middle of the Firth on the return journey, when the machine rocked and swayed a good deal, but the Anzani-engined Deperdussin stood up to her work in fine style. He never had any difficulty in observing his location, and when over the water was easily able to make out the steamers beneath. 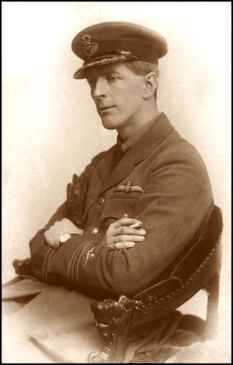 William Hugh Ewen died on November 26th 1947 in Edinburgh.